Things we have learned today – one, baby badgers are really, really cute. Two, they love custard creams. 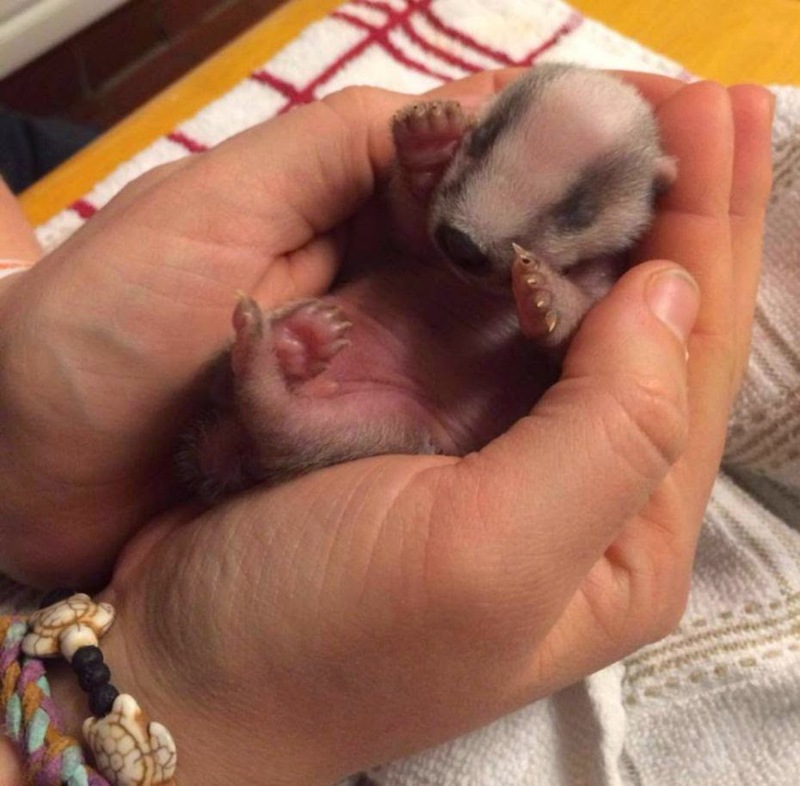 Two orphaned badger cubs were nursed back to life by retired farmer Pauline Kidner – who is currently trying to tempt the youngsters with biscuity treats. Obviously, once they’re grown up, they’d have your face off as soon as look at you, but for now they really are ‘adorbs’. Pauline says, ‘When they came in eight weeks ago they were very very tiny. ‘We start them off giving them milk with a teat on syringe, we can’t risk any getting in their lungs, but they’re now on normal bottles. ‘Little Star came from Derbyshire, she was brought into someone’s kitchen by their Jack Russell dog, it was very lucky he didn’t hurt her, she’d been born two days earlier; her umbilical was still attached. ‘Then we had another called Vogue come up from Cornwall, we called her that because was picked up in the village Vogue near Redruth. ‘Then lastly the third came in three weeks ago, that one’s from near Cheddar in Somerset, we called him Scrumpy, because of the cider context. ‘We’ve been keeping Scrumpy separate as he’s older than the two girls. Once they start to mouth things, they start playing with each other, pulling ears, Scrumpy can get a bit rough though. “They’re still on bottles now, we’ve started putting in custard creams to see if they’re interested, then we might move them on to solids. My Favourite Song of All Times, HAPPY!